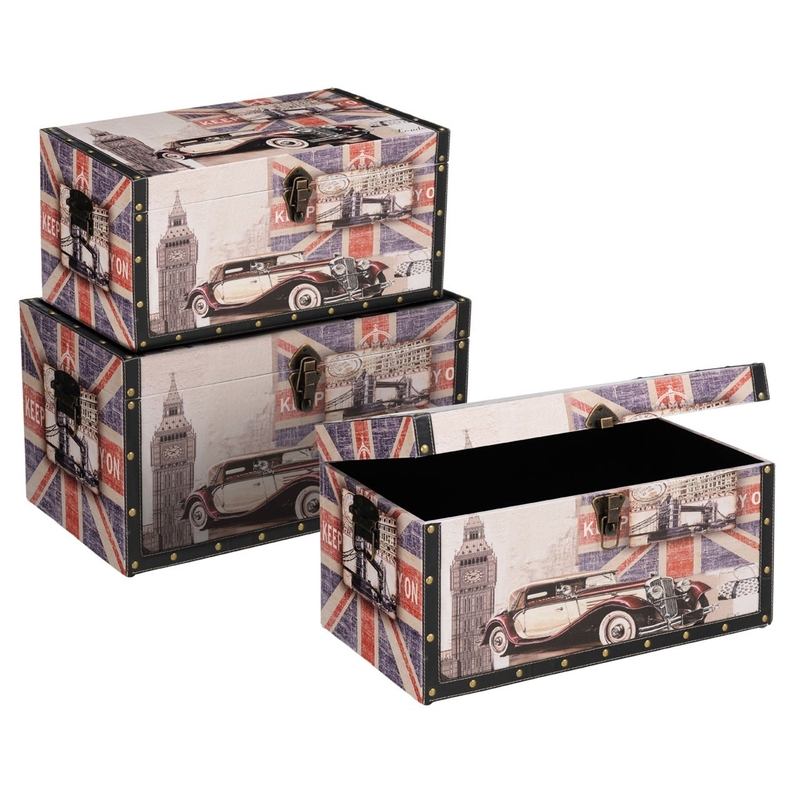 +We are very proud to introduce this set of 3 beautiful London Collection Storage Trunks. They have an amazing design which consist of a simplistic and basic trunk design, given a unique London style and pattern to make them very eye-catching. These storage trunks are created from a combination of MDF and Fabric.